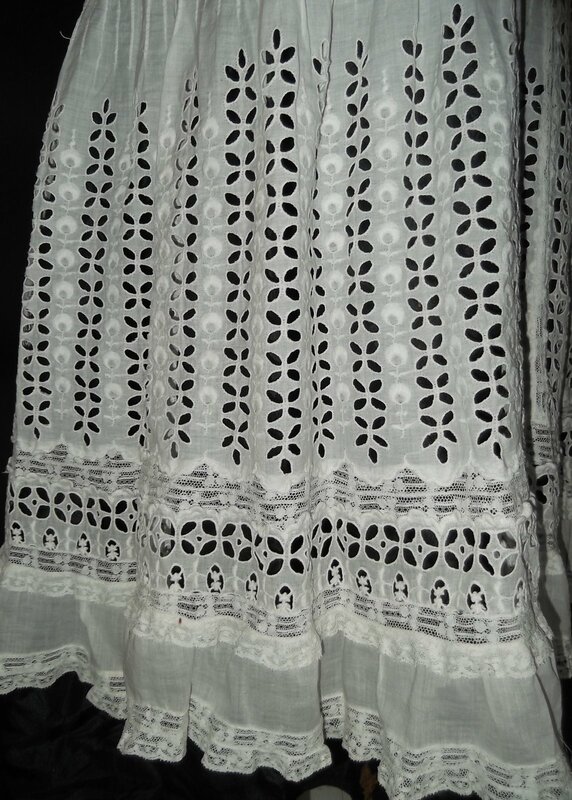 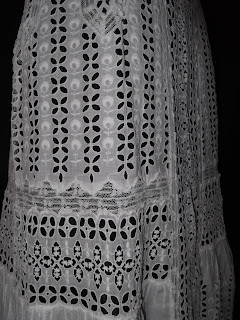 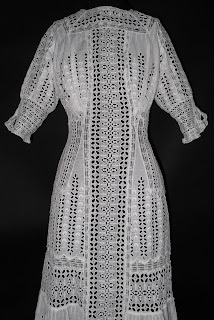 This gown dates to the Edwardian era and is a true confection, the entire gown is in rich cut outs and wonderful eyelet with embroidery in a floral pattern. 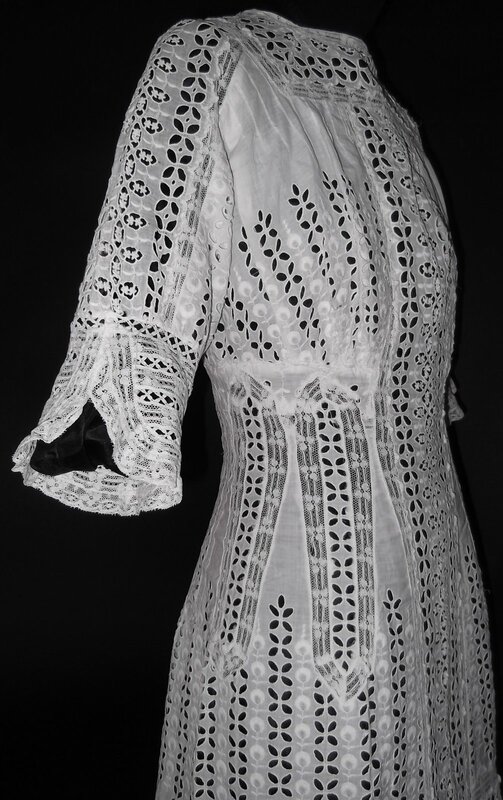 The sleeves are short and are slit open at the end in rounded form, neckline is square in fashion. 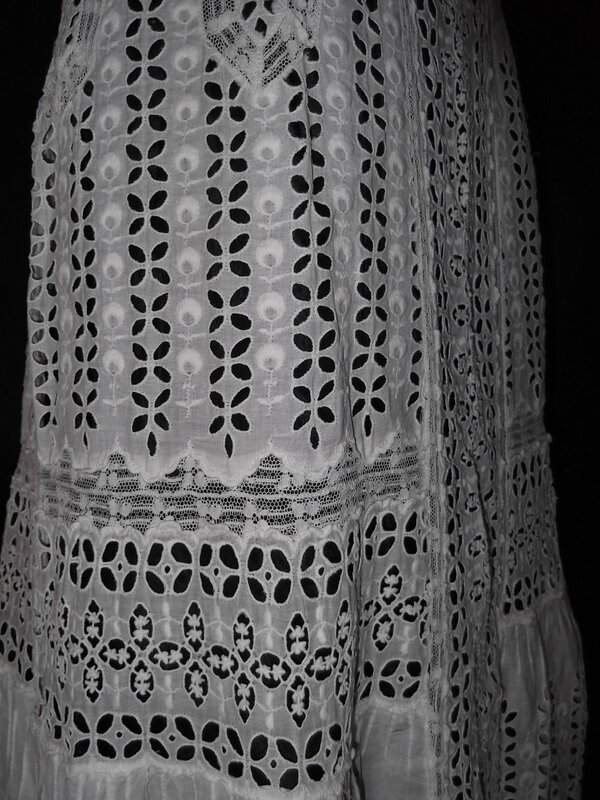 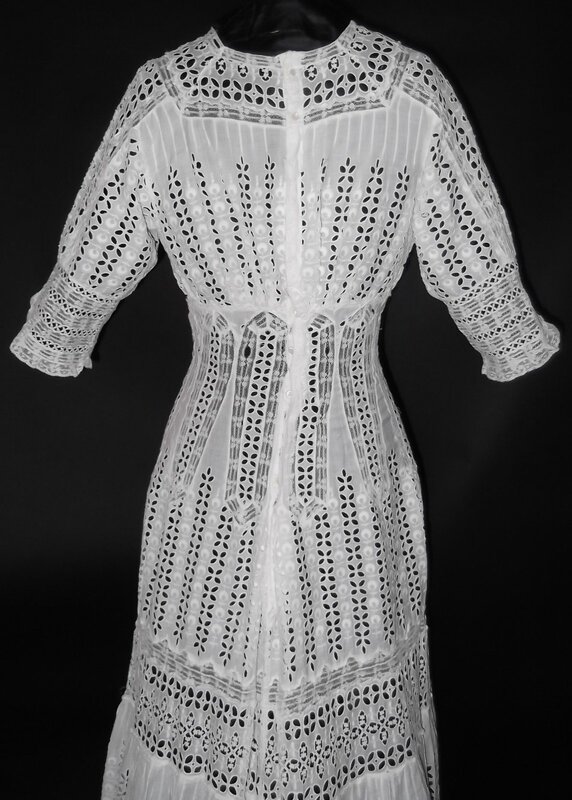 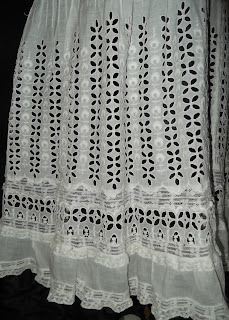 The gown closes with shell buttons up the rear, two Mother of Pearl buttons are a replacement at the top with two small breaks in the lace at the rear waistband, the gown is otherwise pristine white, strong and wearable, and has the most breathtaking appearance over a darker under slip. 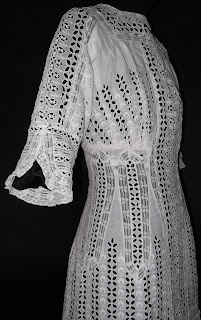 Measures 32 inches around the bust, 23 inches around the waist, and a full 54 inches in length. ....I would have worn a brightly colored striped slip beneath this beauty just to freak out the neighbors. 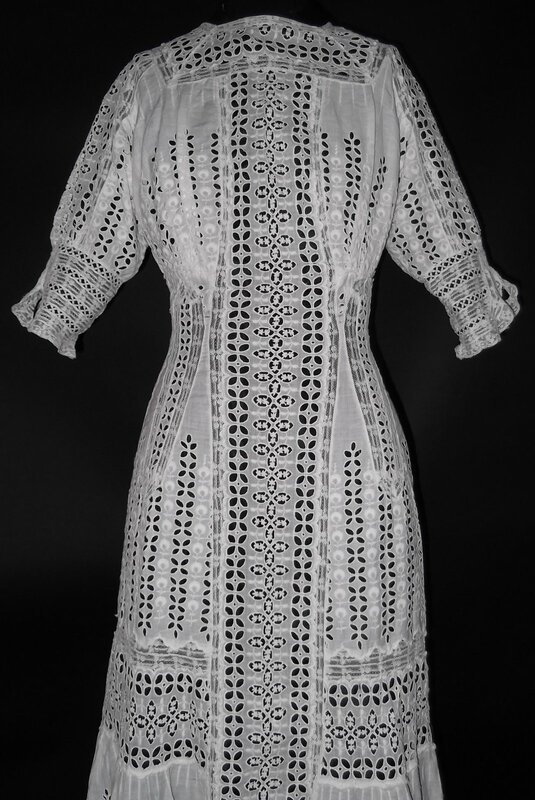 ;-) 1910-1911.